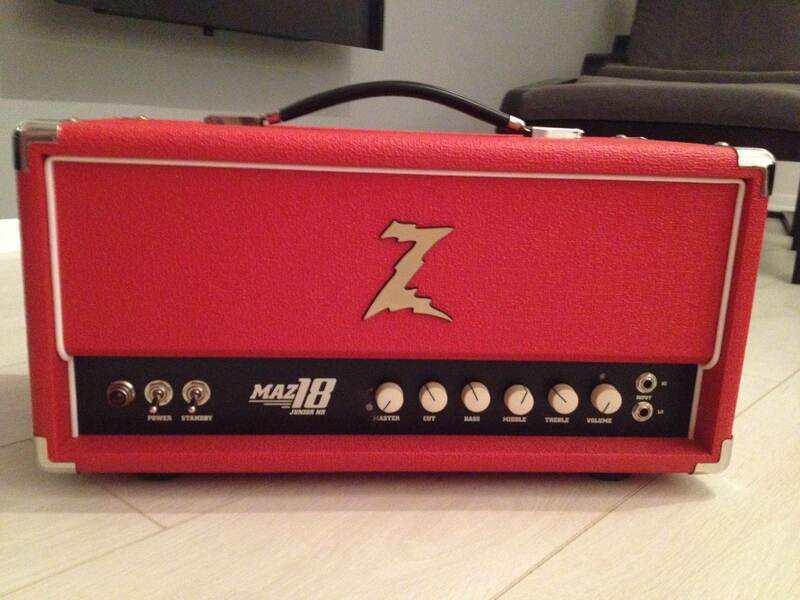 FS:FT Dr Z Maz 18 Non Reverb Head inc. Footswitch and Roqsolid Cover £950 ono. £975................. £950 ono: Cash or Paypal Gift. Collection preferred from Sheffield, but can meet within reasonable distance, no way will I courier this amp though. Was gonna wait until end of year to sell, but the GAS for Guitars/Boilers is strong. Good demo of it and it's Reverb version Cousin. Innards: 3x12AX7's 2xEL84's and 5AR4 Rectifier Valve. Reason for Sale: Band is folding up after Christmas, so 3 high end amps is just ludicrous. I will still have 2 great amps to use for gigs should I find other live work so might as well get it up for sale now. 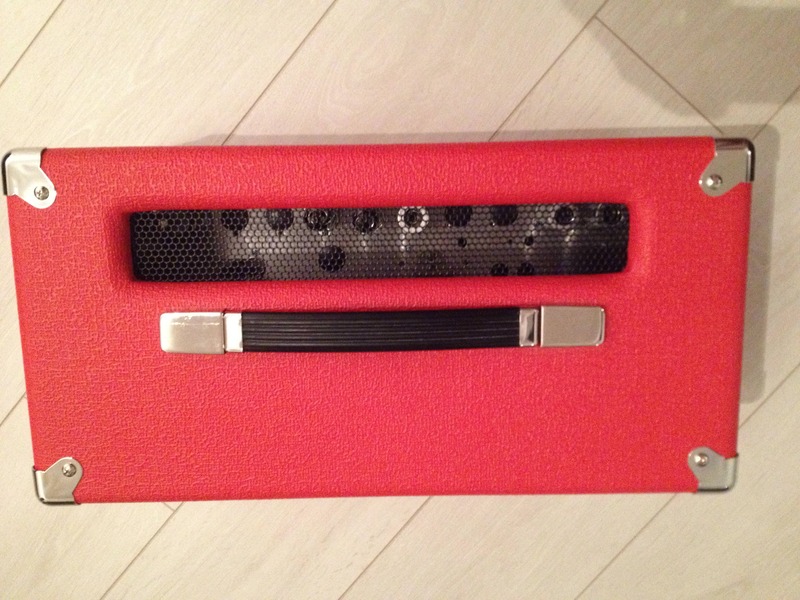 Fantastic sounding single channel amp, cosmetically immaculate even though it has been gigged and transported, gorgeous Red Tolex. This is the Non Reverb version which does put out a bit more gain than the reverb version. I'd say it does a tad more than AC/DC level gain. 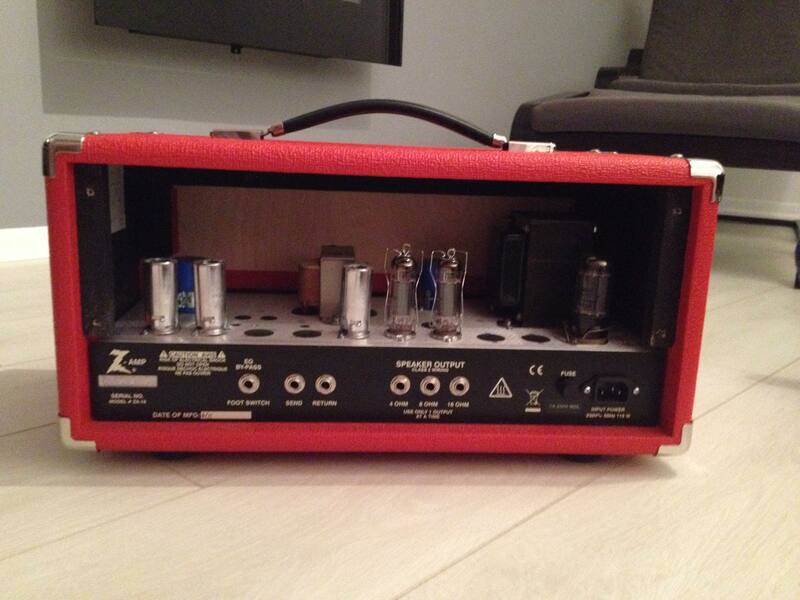 This amp is great as a clean pedal base as well. The included Footswitch is a boost function. 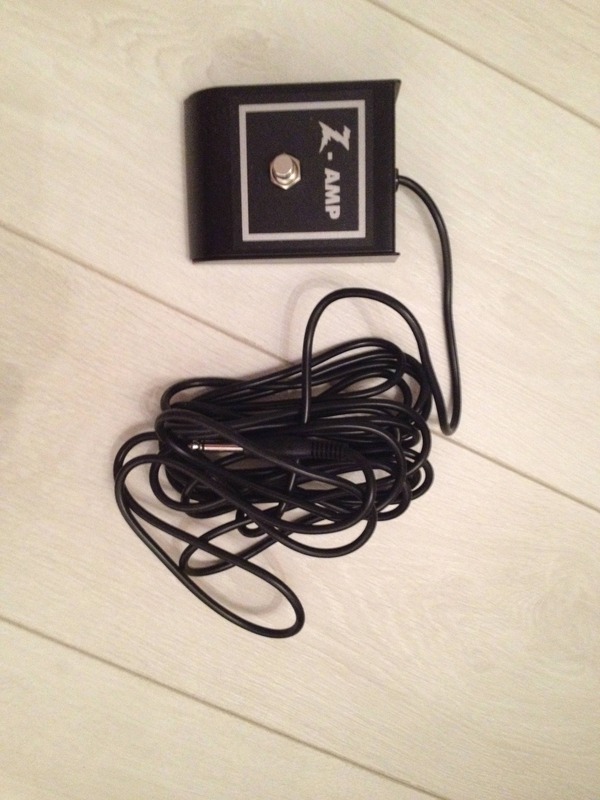 I have tried it but never used it for gigs, bit of a gimmick really as it boosts too much both gain and perceived volume and there is no regulation of it, still, it came with the amp, so it is included. The amp does not need the switch anyway, there is a good amount of gain there, bung a few pedals in front for different flavours. The variation of tones from the Amp are a winner, this is mostly down the the "Cut" control on the front panel. Anecdotally noted for being able to go between Vox, Fender and Marshall tones. I can't vouch for the exact truth of that, but it covers tons of ground, it won't disappoint. The clarity of the Amp is fantastic, even when pushed to massive overdrive, you can pick out every note of the chord. The EQ is very good on the amp. Some say these sound a little "brittle" but I wouldn't say it was too brittle. 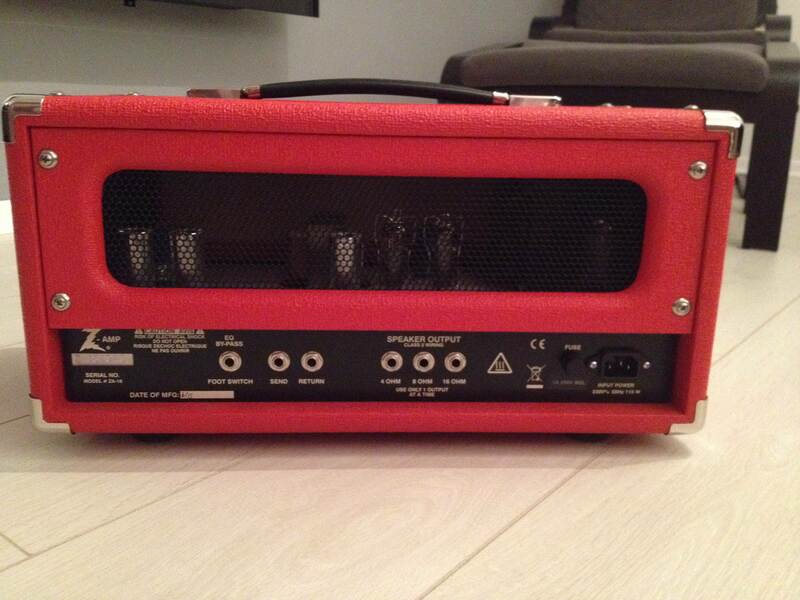 This amp is 18 watts, but it is loud enough to break your ears, don't be fooled by that lowly 18 watts rating. These amps run quite hot too. The stock Valves did need replacing around 130 - 150 hours. I'm positive it was no less than that, but that is an estimate. The Jewel light Bulb did need to be replaced too at some point. Not sure if the stock valves were not that good or whether I did something wrong like flick the switches up back to front and ended up turning the amp straight on, can't say! New Valves from Karltone have done quite a few hours and gigs and the Amp has always performed well, not a noisy amp by any means. 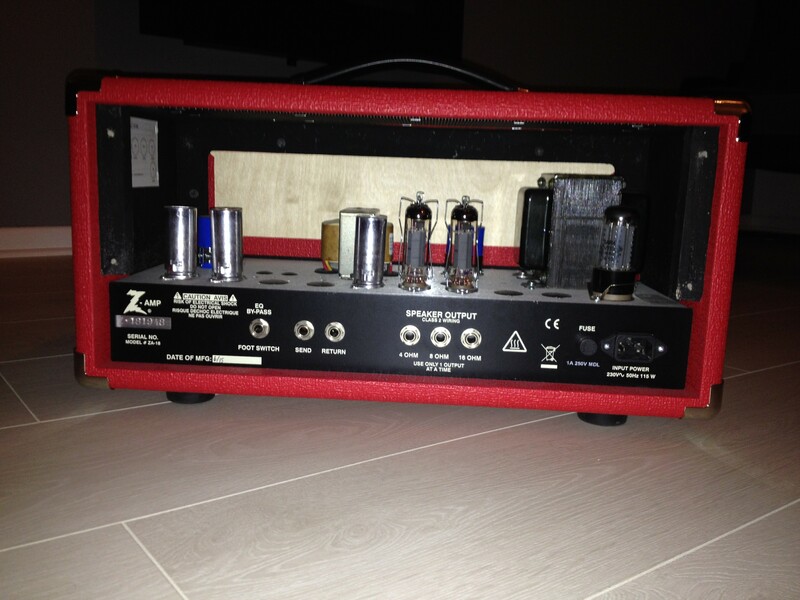 I used Karltone for the replacement valves and when I explained the amp to Karltone, they provided power valves more suited to a hot running amp.....Mine are: Plate Current 30................Transconductance 7.7. 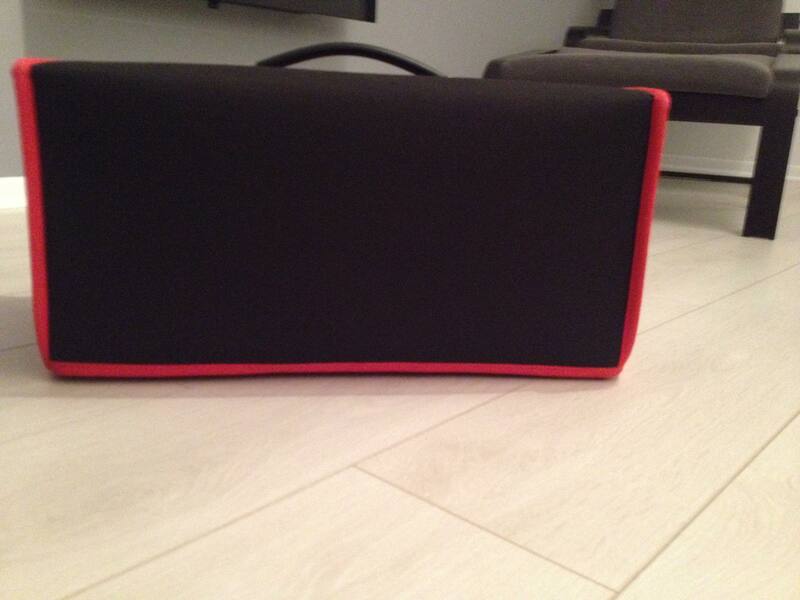 Amp Comes with Roqsolid Padded Foam Cover which is in lovely condition. I will miss the Amp but my desire is now for Guitars. I seemed to go on an amp fad two years ago, quite obsessed with having multiple back ups and amps with different power sections. 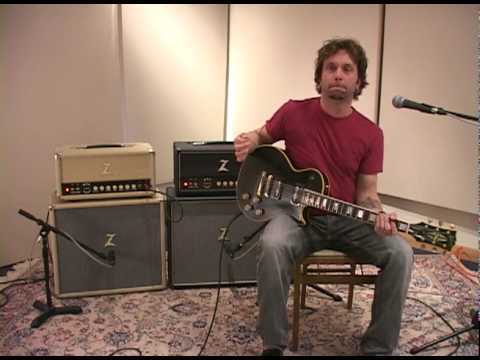 I have since learned that no amp is better than my Bogner Goldfinger 45 Head. Any Questions, just ask away. That new footswitch idea was needed badly. I recall you (Misty) gave me a lot of advice re the valves on these when a dodgy one went down on this. Karltone were really helpful too. You're welcome @Bellycaster, glad you got it sorted. Black Friday Promise: Buy this Before Black Friday and if you find one cheaper in any store on Black Friday, I'll be too skint to do anything about it. I'd need to be somewhere I wouldn't get arrested, hehe. Don't think I'll have the freedom to try those settings anytime soon. I like to set to..........................."Edge of break up" at gigs. I know it's a great sounding amp and have experimented with the settings. I just have too many amps and am at critical mass with GAS for more Guitars. I wholeheartedly believe this deal is the best way forward for any Guitarist, young or old, and I am positive that I will see it through. I have solid support and acceptance, Forum-Wide, on the strength of this deal. It's simply not enough to consider a deal that is only beneficial to my Bank Account, but to consider one that can, through the power of tone, benefit our entire community. Not a minute more I shall give thee. 23:59 is the time thou shalt recognise and the ending of the time shall be 23:59. The stroke of midnight I shall not count. If the time hath not been reached, then lobbeth thou cash at me and I shall, be grateful in thy sight and shall handeth over the Amp. £875 offer finished, but price dropped from £975 to £950 ono. Still sounding great this amp, plugged in twice last week. Looks like I'm gonna have to stick this on Reverb.....Yikes. Come on, give us an offer. I'd rather it go to someone on here. Still getting played, so not sitting idle!